I am pleased to announce that I have my first quilt pattern available for download at Pattern Spot. The link to get to my pattern shop there is on my Pattern Page (see buttons above the banner photo on this page). On that page I also show another version of the quilt. I am offering the pattern for free to the first two quilters who volunteer to test it in the next couple of months and tell me about any problems they have with the pattern. Also, I am not very excited about the name. I will also give a free pattern to the person who comes up with a name I like better than Garden Tiles. For either of these offers, just email me at shirley@mysterybayquiltdesign.com . 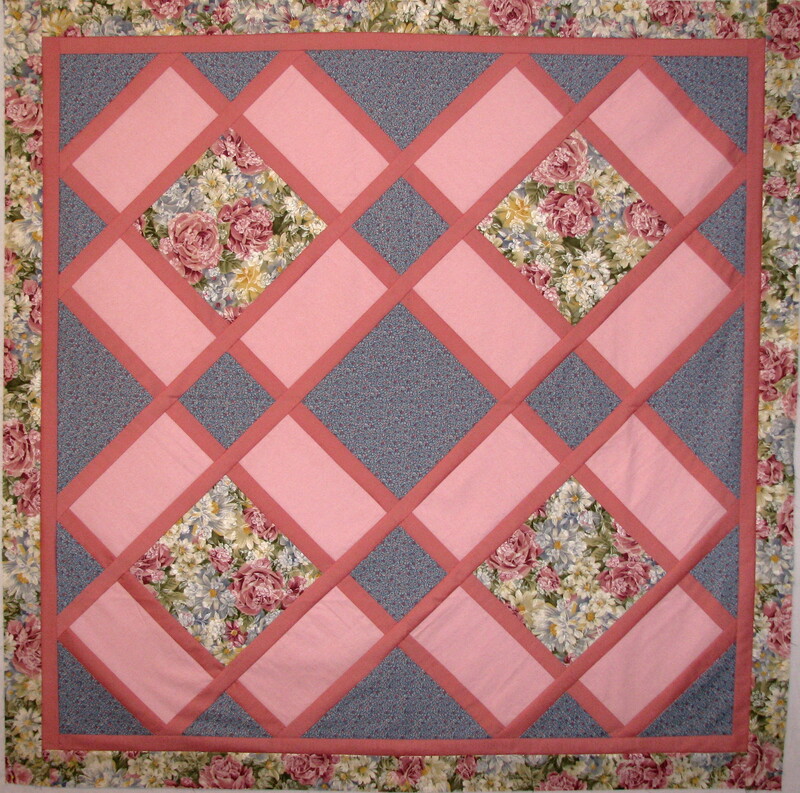 If you read my earlier postings, you saw some earlier versions of this quilt under the title “Quilt Pattern Tune-up”. I plan to complete the Garden Windows version of this quilt as a pattern also. This entry was posted in Contemporary Quilts, Quilt Designer, Quilt Patterns, Quilting and tagged easy quilts, free quilt pattern, lap quilts, simple quilts, square quilts on May 8, 2013 by Shirley at Mystery Bay Quilt Design.